Authors: FIGUEIREDO, João Baptista de O. 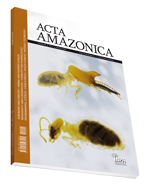 Authors: RODRIGUES, William A.; MATTOS, Nilza F.
Authors: AGUIAR, J. P. L.; MARINHO, H. A.; REBÊLO, Y. S.; SHRIMPTON, R.
Authors: FRANÇA, M. S.; FRADE, J. M.; KONASUGANA, K.; ALMEIDA, F. B. Authors: LAWRENCE, D. N.; ERDTMANN, B.; PEET, J. W.; MELLO, J. A. N. de; HEALY, J.; NEEL, J. V.; SALZANO, F. M.
Authors: DANTAS, M.; SCHUBART, H. O. R.
Authors: SANTOS, Humberto de M.
Authors: WISSMAR, R. C.; RICHEY, J. E.; STALLARD, R. F.; EDMOND, J. M.
Authors: BRAZ FILHO, R.; FIGUEIREDO, U. S. de; GOTTLIEB, O. R.; MOURÃO, A. P.
Authors: JONG, W. W. de; ZWEERS, A.